It’s time to start planning your 2019 dream cruise, and Viking has put together some fantastic options for the upcoming year. 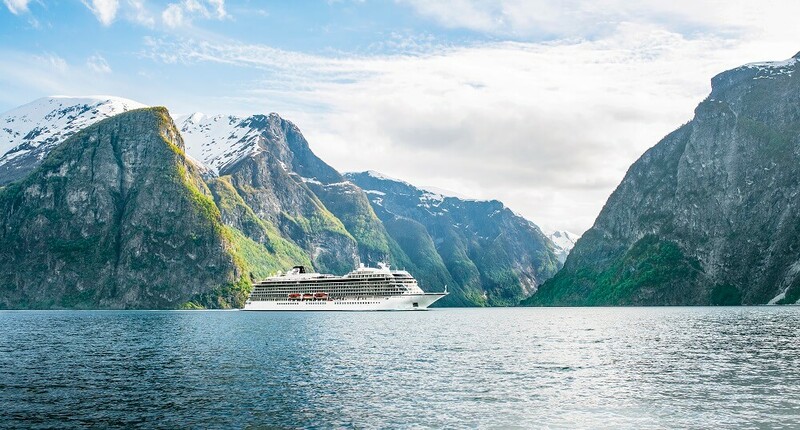 Viking’s cruise ships are smaller and that allows them access to the more exclusive ports around the world including those in South America, the Caribbean, Europe, Asia, and Australia. Call CruiseExperts.com at 1.888.804.CRUISE (2784), and let us help you select the Viking cruise that fulfills your 2019 vacation dreams. Click here to browse all Viking Ocean sailings. Dear Cesar, Just dropping you a note about our Alaskan cruise. This was Kurt's and my first cruise and we had a great time. Holland America treated us like royalty; we had excellent service. Thank you for all your time and effort in making our cruise an enjoyable vacation. — JoAnn and Kurt W.
Viking ocean cruise itineraries 2019 are exciting and adventurous. Viking has been ranked #1 Best Cruise Lines for Couples. You won’t find all the programs for children on the best Viking ocean cruises, but you will find Wi-Fi access throughout every ship, verandas included with every cabin, and a complementary excursion at each port-of-call. Let your imagination be your guide as you go off to ports of call where pirates once sailed or explore ancient Mayan ruins. Maybe your dreams is to lie on the warm soft sand beaches of the Caribbean or stroll the streets of historic European cities. Whatever your dream is, Viking ocean cruises can fulfill it in 2019. Look at the following exciting cruise being offered by Viking. Board the Viking Star in Venice for departure to your first port, the medieval city of Koper in Slovenia. Zadar, on Croatia’s coast is home to Roman and Venetian ruins. Your next stop is Dubrovnik, Croatia on the Adriatic Sea where you will see beautifully preserved architecture from the Baroque, Renaissance, and other periods. Visit Kotor, a beautiful coastal town in Montenegro. Your next stop, Corfu, is a Greek island with a beautiful shoreline and rugged mountains. Katakolon is your gateway to ancient Olympia, an excursion you won’t want to miss. Santorini is a beautiful volcanic island in the Aegean, and the most popular destination in Greece. Athens, the capital of Greece is your final port and home to such historic treasures as the Acropolis and the Parthenon temple. Your cruise ends in Athens on September 19th. Click here for more information on this sailing.